Reno's Zazpiak Bat Basque Club will be celebrating its annual San Martin Dinner/Dance on Saturday November 14th at the American Legion Hall. 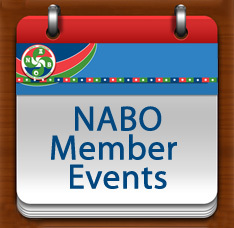 Festivities will begin at 4:30pm with drinks and appetizers, followed by dinner at 6pm. After dinner there will be dancing to the music of Manuela and Jean Pierre Etchechury until 10pm. People who have RSVPd will be given a special ticket that will allow them to be served first. RSVPs are due by November 12th and can be made by emailing: renobasqueclub@gmail.com or calling (775) 762-3577. For complete information, including what's for dinner, and dinner prices, please see their flyer. 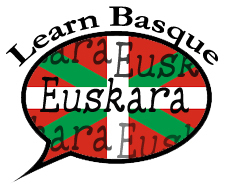 The 2015 World Mus Championship of Basque Communities was held October 31-November 7th in Mar del Plata, Argentina. 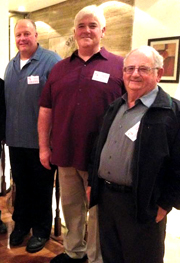 Representing NABO and the USA, were Chris Bonson and Maurice Negueloua from the Iparreko Ibarra Basque Club in Rocklin, California, who finished in the middle of the pack. The team was also accompanied by delegate, Pierre Etcharren. The tournament gathered twelve teams from 10 different countries with tournament play taking place all week. In the end, in a very close competition, Spain's Andres Fernandez and Noberto Rodriguez, beat out Euskadi by one game to take the title. Tournament participants, and their companions, also enjoyed several excursions and visits to significant sites in the surrounding area during their stay. They were also treated to the local cuisine, including the famous Argentine BBQ and Paella. For complete information on this the 38th World Mus Championships including results and the complete program of activities, click here. Eskerrik asko to Chris and Maurice for representing us so well! 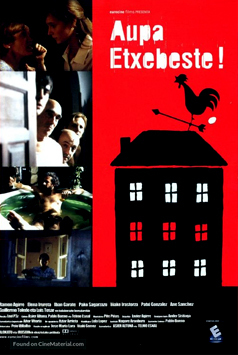 Zorionak! If you are looking for a study abroad opportunity over Christmas break, this program might be for you. 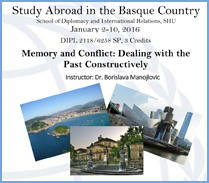 The school of Diplomacy and International Relations at Seton Hall University is offering a 3 credit course entitled "Memory and Conflict: Dealing with the Past Constructively" in the Basque Country from January 2-10, 2016. The program is open to undergrad, graduate, as well as non-degree seeking students. Classes will be taught by Dr. Borislava Manojlovic, and will provide opportunities to interact with officials in various Basque institutions as well as visit cultural sights, and get to know the folks in Bilbao, San Sebastian, Gernika, Gasteiz, Arantzazu and Mondragon. For complete information including cost and how to apply visit their website.